Any URL reference in the comments will be automatically rejected due to Spam. Contact info is only used for informing you of upcoming Connie Evingson Events and is kept confidential. Connie, it’s going to be -30 farenheit tonight in Minneapolis – tomorrow a high of -17. Why don’t you come down to Arozona and warm our hearts (and your toes) at the MIM or at the NASH?? It’ll be a beautiful +75 om sunny Phoenix tomorrow> We need you & you need us – it’s a win-win for everone! MY FAVORITE SINGER; LOVE TO REQUEST YOUR SONGS ON KBEM AS I PASS THROUGH THE TWIN CITIES. I was looking for nice versions of Caravan and I bumped into yours. Then I found out some of the songs you sing are also included in my repertoire! I love the way you sing, I find you an honest artist! I love your music! I am an active musician and appreciate any genre of gifted singing – have you ever thought of coming to Wisconsin? I live in Oshkosh and we have The Grand Opera House which would be a wonderful venue for you and your music. Monroe Crossing has performed there several times over the years. Something to consider! Yesterday I was listening to Jazz24 (KNKX Seattle). A beautiful voice starts singing these lovely lyrics in a gypsy jazz style. I’m alone in a hotel room in Zaragoza Spain and the song was comforting as I’m missing my wife back home in Vancouver. Anyway, I did not know the song or the artist singing it. I found out it was you! The song is “Until”. Thank you. Just found your music and fallen deeply in love with it. Hi, love your music. Last time I saw you was about five years ago in Madison. Hope you have plans to come to Milwaukee or Madison soon. 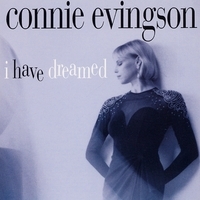 I've recently discovered Connie Evingson music on Pandora. In addition to listening to all types of music on Pandora while I drive, I specifically listen to Ms. Evingson's music during self directed yoga practices, which typically last for 2 hours at a time. As one can imagine, this self directed yoga practice is exceptionally challenging, both physically & mentally. The voice, the style of music & instruments backing her songs has the twofold effect to calm the mind and help to deal with the discomfort of each yoga pose, held for 5 minutes each. I was curious to know if Ms. Evingson live performance schedule included the Chicago / Milwaukee metro areas? It would be all too cool to see and listen in concert to the music to which I listen 2x per week on Pandora. When are you going to tour the States — spread that talent around. Thank You! You and your band are an absolute treasure! I have been fortunate enough to have gone to about 5 or 6 of your concerts over the past 15 years. Everyone of them was a fabulous from the heart performance. I’m just home from your latest, and looking forward to the next. I love your music and have re-discovered your appearances on A Prairie Home Companion with Garrison Keillor. In particular, I heard “Autumn in St. Paul” which you did on the show a few years ago. I would love to hear you do a rendition of “St. Paul State of Mind” by altering the lyrics of “New York State of Mind” sung originally by Billy Joel. Ginny and I have just returned from our cross country trip. We had a wonderful time everywhere we went, but our time in Minneapolis was more than just wonderful. Thanks to you, Connie, it was MAGICAL. Your warmth and graciousness (not to mention your prodigious talent) made Jazz In The Lounge the highlight of our adventure. Thanks so much! My cross country trip is finally a reality! I’ll be stopping in Minneapolis when you’re performing on June 7. Can hardly wait! Discovered you on Pandora, and now I love your wonderful voice. I cannot describe it but I have to stop to listen every time you come on. Your rendition of Besame Mucho is the best I have heard, and I have heard many. Come out to Utah or Las Vegas, I would love to go to one of your concerts. I met you back in the nineties. I would love to hear you perform. Please let me know your upcoming performances. Thanks. Played a number of your Minnehaha releases on my former “Modern Jazz Classics” program which was internationally syndicated.All that Minnehaha sent were featured on one or more of my programs. My favorite: your collaboration with the late Dudley Hill’s Pearl Django, “Gypsy In My Soul.” My favorite from that release: I Cover The Waterfront. Hope all is well with you and your career. I was stunned to read yesterday’s obituary of Ross, and mentioned this sad news to several friends of mine who I have brought with me in recent years to hear you at St. Barney’s. They were equally saddened. We all want to extend our condolences. Was just introduced buy accidental discovery. I was searching some Diana Krall stuff. She was in our school band class under a Mr. Lowrey playing the piano. Your name was referenced and gave you a listen. I forgot how much I enjoyed jazz in school band, for me you bought the romance of jazz back. Hi, Connie! A few months ago I discovered your work. This is something that I love so much! When alone at home, I am listening to you and dance. It is such a pleasure! Thank you! Constantly I am listening to you at work. Our patients ask me who is singing? It’s great!. I tell them your brief biography and write on a piece of paper your name so they can find you at home on the Internet. Thank you! Be healthy and giving us all happy! I had the good fortune to hear you via Pandora and am enchanted at your singing, phrasing and the spirit that comes through you music. I look forward to catching your show if you come out here to Portland, Oregon…. My wife and I were delighted by your perf at Campbell Steele Gallery in Marion this past Friday (11/18/16). Somehow you managed to wow us even more thoroughly than at your also awesome show there earlier this year. Thanks for doing what you do. And for doing it so superbly and with such a fine sense of musical history. Your set at the Jungle was the perfect antidote to Election 2016. Beautiful. Thank you. I am a so so Jazz pianist. Am planning to cut my first CD at age 80. I have a list of 25 songs I play to choose from. In searching for the “best” recordings of these I was amazed to find someone I never heard of place 5 on the list. You’re more gifted than Ella or Billie in my opinion. In my life you’re the first woman to stir attraction with voice alone. I couldn’t find the French Lyrics to Duke’s April in Paris on the web. Where can I find them? I first knew about you some years ago, Connie. Since then I don’t stop valuing your talent. Congrats por ‘All the Cats Join In’. We love you! Connie, I discovered your music some time ago. I think you have the greatest voice!! Please continue to produce such fantastic work. Your pictures on your website are mesmerizing. Live in in the LA area and would love to see you live. Hope if you’re ever in town you’ll let your fans know. I have been a jazz lover all of my life. A busy career and family have restricted my exposure, for the past many years, to the likes of Pandora where I created a “Hot Club” station. Connie Evingson kept showing up and I always gave her a “thumbs up”. Finally I downloaded some of her music and became a fan. Last week I decided to expose myself back into the live music scene. I was elated to see that Connie was performing at the Dunsmore Room in Fridley. It was one of the most enjoyable evenings I have spent in some time. Connie – you are awesome and I plan to see you again. Thanks for sharing your gift of song and your talented musicians. Would love to know if you’re singing anywhere in the Twin Cities in August? I will have out-of-country visitors who I know will love you! I live in a famous Florida Golf Community but it also has many professional places in wish to perform. If you decide to perform here, I can pick you up in my Golf cart. Welcome (hopefully)to The Villages, Florida. Thank you for sharing your musical gifts with us at Campbell Steele Gallery in Marion. I’d happily anticipated your exceptional voice, your impeccable phrasing and strong playing from your band — and you more than met those expectations. What I hadn’t reckoned on was coming to realize how you’re helping to keep so many wonderful, timeless songs alive and vibrant. I can’t wait to experience you performing live again one day soon. Whenever my wife and I visit St Paul/Minneapolis, we always end up on Grand Ave. There is a neat dress shop in an old house run by a person from eastern Europe on Grand, between Chatsworth and Milton, (north side of street) you might take a look. Always enjoy your music on Pandora! Found you on Amazon Prime Music. Wow, you are great! I enjoy your music a lot. Your rendition of “Killing me softly” is the best I have ever heard, haunting and lovely. Thank you for the work you put into your craft, it bring me a lot of joy. When are you coming to Florida? every note,chrisp,añd clear,wonderful show by all last night at the new View-“view-car-A”(old artist quarter)so glad I went,sat in center sound was great,cozy night,good food,nice crowd…hope she comes there often..great show,,local treasure of tallant,kind we need in twin cities,and St.paul..ces LA vie,. 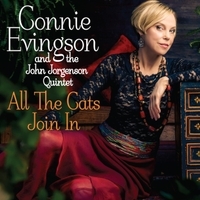 Is there really any female jazz singer better than Connie Evingson on the stage today? I was totally pleased in seeing Connie and her small group play at the Jungle theater during my recent trip back to Minneapolis on September 6th. Both shows were sold out (no surprise there) and Connie was able to help me secure a much coveted ticket to see her perform. It was quite the show and showcased some great talent and the opportunity to experience Connie’s unique ability to interpret standards from classical American fare. It’s time for Connie to start performing some of her own inner musical secrets! Congratulations on such a wonderful and prominent singing career! We met eons ago when I worked with Robert Whitman and we later spoke briefly on the phone about your work with David Hamilton. Take care! Pandora brought a great gift the other day, Gypsy in my Soul, since then I can not stop hearing. Great singer, great band, great choice of songs. A Master Piece. parma,may 29th,.you say on your website..6-8pm…parma says all music starts at 7:30pm till 9 or 9:30………..are you trying to get us having a few before you sing? got some pics for you……. really enjoyed your voice.. and wonder if you ever met or sang with Bob Dillon also a Hibbing born native ? We used to live in Mpls. and first heard you at the old Sophie’s where you mistakenly and happy birthday to my hubby. We are big fans,but live in FL now. Come check out the Sarasota arts scene…it’s phenomenal! My hubby turns 60 in late April……can we hire you to come sing here? He listens to your CD’s ALL the time!! I just discovered this wonderful artist and her wide variety of musical friends. I’ve spent the last 2 nights listening to everything I can. ( I now know what I want for Christmas. ) If ever in the Carolina’s performing … I’m there with a dozen friends in tow. I have downloaded most of your music and will definately down load your new album. It gets cold in Minnesota hopefully you’ll do a show in Arizona sometime in the future. finally saw a singer show at the new Dakota Jazz…it was good, and it was you ! enjoyed a wonderful evening. really got to hear you voice,.what can i say,.like a smooth quiet version of chris connor,. (i was imagining a horn section with the combo,.thats just me, i like horns and jazz. ).Did you like the pictures at mears park jazz of you,mr serious amature phots for fun, and thanks for the extra CD ! Connie, “Solitude” sold me. Thank you for a wonderful new album! “Discovered” you about a year ago. Your voice is amazing; the music cool and I hope you get to the DFW area for live performance — soon. What is on your schedule for July? I was looking for the chords to “Nature boy”, then found you on YouTube, quick look on Amazon and now your voice echoes around the House, glad I found you. Connie – I listen a lot to Jazz24 and hear you on it. I love your music. Unfortunately, there is no imminent prospect of my making it to Minnesota to hear you live so Jazz24 will be the best I can do for now. If ever you tour in the UK though, please let me know – I will come to see you for sure! I really enjoyed your tribute to Peggy Lee. I will be seeing you live tonight. Just sent you an email, then discovered your Guestbook. I just love Sweet Happy Life. It always boosts my mood and makes me smile. You have a special way of interpreting standards. Will you ever come to Hawaii or Hilo, Hawaii? I met you many years ago at a little club in St. Paul and bought a couple of CDs. There are about 900 songs in my jazz genre on my iPod, and you have come circling around year after year. Tonight I’m inspired to tell you how much I love your singing — it’s clear and moving, radiant. Never give up. You have the gift, a child could see that. Thank you for filling my house with your sweet voice! Do you ever perform live in Michigan? I live in the Kalamazoo area. I love your voice. I haven’t been able to get Bluesette out of my mind for weeks!! I look forward to hearing you live someday. Thank you Connie for your wonderful vocals with Parisota Hot Club at our wedding reception at Sweeneys on October 4th. Everyone raved about the music and you in particular. My 3 brothers fell in love with you! We felt the music was a gift to our guests. Thank you and looking forward to hearing you sing again at the Mpls Womens Club on December 4th, when we won’t be quite so distracted. Mary and Doug. OMG!Susan Stamberg was right. After the NPR interview and learning you grew up listening to L,H,&R,I ordered Sweet Happy Life and Gypsy In My Soul. Every word clear. Every note pure. Great musicians too. Wife very suspicious. Why would a 75-year-old house husband have the stereo full blast and be dancing with a broom when she gets home from work, house a mess and dinner not on the table? Hmm. Love your music. Please come to Boston! I just heard you for the first time ever and I am in LOVE! I was listening to a station that I created on Pandora and you came on. I had to stop what I was doing and see who this was singing. You have an absolutely beautiful voice and you now have a new fan. I was just listening to my Madeleine Peyroux station on Pandora when I heard your Gypsy in My Soul…you are great! Any chance you will be in the LA area anytime soon? Love your voice and your music. Your latest CD just arrived, very nice indeed. Such a wonderful voice and wonderful song selections. Thank you. I hope your life goes well. Connie, heard you on NPR. Wow! Come to the San franisco Bay Area and play at 142 Throckmorton. The house will be packed! Heard you for the first time on NPR. Would love to buy your CDs but everywhere I turn seems to be “temporarily out of stock.” What gives? Hi Connie, Great job on the NPR interview. Susan Stamberg starts her day with your wonderful music and joins your fans having sweet happy days. We’ll see you next time you make it up to Seattle. Hi Connie; please come on out to Carmel and perform at the Sunset Center. Beautiful Venue and you will pack the house! I too listened to your interview on public radio this morning. I was surprised to find that Shazam did not recognize your songs. Hope your music will get more recognition as your voice, positive themes (and enunciation) are quite refreshing. I heard you on Minnesota Public Radio, this morning. Very impressed with your voice. Delighted to hear you are from Hibbing, MN. Hope to see you perform live in the near future; in the meantime, planning to acquire some of your recordings. Thanks for sharing your gift. Heard you (and of you) on NPR this AM. VERRY NIICE work! And come down to the South, but August is probably NOT a good time for a Minnesotan. Sing long and prosper. Connie, I’ve downloaded many of your songs on Itunes. I love your style and your voice. Keep doing, please, what you have been doing! Just heard “Peel Me A Grape ” on KCSM Jazz 91-it’s the first time I have heard you – what a solid track! You are one hell of an artist! (Since I am a vocal “snob” that’s a true compliment!) Please come to the SF Bay Area soon- perhaps Feinstein’s at the Nikko? Connie, I just picked up your cd Gypsy in my Soul. I played it through twice and loved every minute! It is a pure gas. Thanks for the music! Hi Connie I love your albums and listen frequently. Would you consider print especially gipsy in my soul album in vinyl format? Sweet Happy Life on Pandora& I instantly went to Amazon.com & put your CD in my cart for my sweet man’s birthday! We both are enjoying the whole musical selection & your voice/delivery. Hope to see you live someday– and I’m looking forward to purchasing more of your CDs!! Thanks! Larry Komberec aka larry "K"
Connie, I listened to your voice yesterday just by chance while cooking ! “Lullaby of the leaves”….Great interpretation, deep from your heart. No words to express my admiration. You’re just perfect. Just discovered you on pandora. If you ever come to Seattle or San Fran would like to get notification so I could listen to you live. I just heard you sing “Night and Day” and I loved it. Uplifting piece. Back in the 60s and early 70s I was friends with Johnny Mercer and his wife Ginger and stayed at their Laguna Beach house often and I learned to love the sound. I must say you do it well. I’m a vocalist in the Colorado Springs area and always looking for great material. I heard ‘Sweet Happy Life’ while driving and new it was a tune I’d love to cover. I really like the message and the feel of this tune. I’m glad to have discovered you through this song! Connie, I second Daryl’s comment about coming to the Napa Valley Opera House. That makes at least two of us in the audience. . .
Kathy & I met you in Seattle several times and enjoy your music. Our first meeting was at the Triple Door with Tim Brandt and am a Yooper. Met you at Bake’s Place with Pearl Django and share our table with you after the show. Best of luck in the future. Hi Connie, I’ve enjoyed your CD of Dave Frishberg’s songs for the last year or so and have just downloaded ‘Sweet Happy Life’ from UK Amazon. Wonderful! I’ve listened to it at least five times through in the last three days and several of your recordings of those songs have become the definitive performances for me. I’ll be back for some more of your albums soon! Hey Connie, I happened to hear, through a friend of mine, a number of your songs (a.o. After you’ve gone, In a Sentimental Mood) and I love your work! Not only is your voice beautiful, but I love the original accompaniment: Django guitar and accordion, which I play myself. I play in a band with the same type of Hot Club De France instruments. It must be a big thrill those great old jazztunes with such a wonderful singer.All the very best from Holland. Dear Connie, today I heard about you for the first time. I love your voice. I’m a radio speaker and I will tell the audience about your recordings. Greetings from Spain. Just heard you on Pandora, will be buying your CD’s soon, amazing voice, thank you. Ive just discovered you thanks to the Power Line blog. I need to get out more. I heard your voice on pandora.com. You are at the top of my listening list. Great job! Looking forward to listening to more of your work. It seems like every time I hear a really great female vocal on KCSM and look to see who it is, it’s you, Connie. The latest was “So Nice” from your new album. Great version! Hi, Connie. I just received your cd ‘Sweet Happy Life’! I think it’s one of the best albuns you ever made! Thanks for the sweet autograph! Your voice is in big form! Well, when you’ll come to Brazil??? I’ll wait for you… Dado. Just replayed And That’s That cd [bought at the 2000 Fargo Jazz festival] by the Jazz Arts Big Band, on which you are featured on three songs. A quick Google shows most all performers on the cd are still active playing/teaching jazz. Like others, I hope you get to the east coast, metro-NYC in the near future. Dear Connie: i’ve been missing you for a long time, but you’ve arrived with a good & extraordinaire choices to homage your brazilian fans like myself. Thank you! What a beautiful voice. When I hear it, It makes me crazy! If only I could see you in performance here in Boston. A friend, Leo J. Good morning Connie, We saw and enjoyed your singing last night in the Williamsburgh Room at the Lexington restaurant in St.Paul, MN. You were terrific and your Trio did a great job also. The only negative was a group of two couples who would not stop talking during your singing. The only time that they were quite was when you guys were taking a break because they were eating and filling their mouths with food. Do you have any suggestions on how to get a group like that to keep quite? I thought of buying them a big dessert hoping they would keep their mouths full of food but I didn’t do that. Thanks for the enjoyable evening, Ginny and Stuart Campbell ! We came to see you last night at the Dakota and loved your show! We were commenting that the first time we went to the Dakota (when it was still at Bandana Square, many years ago), we also saw you…with Moore by Four! Thanks for keeping all of that wonderful music alive and well! 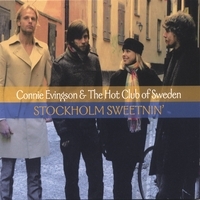 Thanks to a neighbor, I discovered your music this morning with the Hot Club of Sweden cd. Having just seen Midnight in Paris, your music was the perfect dessert. Please come to Boston. I’d love to see you. In the meantime, there are a lot of your cds to discover. Christmas comes early this year. Connie, two new albuns are coming??? One of them from songs of Brazil? Bossa nova? Well, I’m waiting for it with great expectations! Probably they will be the best albuns of the year for me!! All the Best. Dado. Love at first hearing . . . I’m listening to “Some Cats Know” (my second CD) as I write this. It was a joy to discover your music and your unique sound. Love the sultry swing. All best from California! I’ve just discovered your lovely music. I’m a fan already! 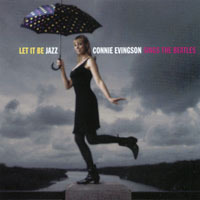 Dear Connie, I greatly admire your work and I was wondering if you teach jazz vocalists? My background is musical theater, but I’ve been singing with a jazz quartet for several years now and would like to study, or get some coaching. Thanks, Christina. Any chance you’d be visiting Southern California sometime? Thanks. What a joy! What telent! First heard you on Pandora Radio and now have most of your CDs. Please come to Rhode Island!!!! Hi Connie, I heard you sing last week on the 8h of June at Jazz Alley here in Seattle with the group Pearl Django.What a wonderful night.Listening to yor music and some of your latest from your new CD Gypsy in my Soul..Even tho we were in Seattle you took us to Paris for the evening with many of your songs..I bought your CD and you signed it..I took it to work on last Friday to share the great sounds with my Coworkers and would you believe..left it at my desk and when I returned on Monday no CD…Someone took it and I am really bummed…So now I need to have you sign another one and send to me…Keep up the wonderful music ..Your voice is lovely…Thanks for a wonderful evening of entertainment on Wednesday, the 8th of June here in Seattle.. When are you coming to Southern California? Please visit Santa Cruz. There’s a great jazz club here, Kuumbwa. Jazz acts all stop in here on their way between gigs in San Francisco and LA. Saw your show at Bloomington Center for the Arts last night with my granddaughter, Kate, from Capitol Hill School in St. Paul. She loved the show and was thrilled that you recognized her and that she got to talk to you. The night was my birthday present to her. Thanks for the great work you do with those kids in school…great way to build their enthusiasm and understanding. Hallo Connie, Really enjoyed hearing you live in Gävle, since I have listened so often to you on CD.I like your seemingly simple style, but which is actually very refined and very complex at times. very memorable. Nice talkinng to you. Hope cold Sweden didn´t frighten you off, we want to hear you soon again. Thanks a lot! I really enjoyed your amazing performance here in Gävle. I love your style of singing. Hope to see you again. Nice talking to you as well. By the way, my high school classmates are in St. Clouds, couldn´t remember then when you asked me. Thanks for a marvelous concert tonight! And what great musicians that was playing with you. Connie, Just heard one of your songs on my computer. Your in the same class with Karin Allyson and Diana Krall(all A’s). Website is the BEST. Where have you been HIDING or better yet, where have I. We’re even neighbors. Gus (a new fan) Des Moines,Ia. I have requested that the new jazz radio/web station based in Appleton, Wis–The Avenue 91.1–please play some of your music. I “found” your version of Good Day Sunshine through Rhapsody, and really like your interpretation and honest style! HI, Connie! How are You! Love your songs, you know! When we’ll hear another album??? Thanks a lot. All the best from your fan of Brazil. Dado. I heard Si Tu Savais on Pandora radio tonight and went to click the thumbs up button and realized I’d met you in Seattle a few years ago playing with Pope Firman and Pearl Django at Jazz Alley. Glad to see you are based in the TC, my new home! Cheers and Happy New Year. Just found you via pandora and love your work! So glad to hear and meet you at the Christmas Tea on Dec 12th. Your Christmas CD has already been played in my car and it is great. Have to locate more copies to give as gifts! Too good to keep to myself. Hi Connie, Saw you @ Dakota with Hot Club of Detroit – fantastic!! Also got your Gypsy cd & love it, esp. the vibes of Susan Pascal. Met your parents after the show. They’re very proud of you, rightfully so. keep up the great work. Love your arrangements of the Beatles’ songs. Please let me know when you will be in the WASH DC area. I recently set up a Diana Krall radio station on Pandora and heard you for the first time. I really enjoy your music and will add you as one of my new favorites. Hey, Connie, come to New York, willya? Your biggest fans are right here in the Big Apple! PLEASE come to Atlanta! I love your sound & I play Stockholm Sweetin’ for my 6month old daughter all the time…she gets really quiet and listens so intently. Thanks to Jazziz CDs I get to hear some great jazz artist down here in the Appalachian Mountains of NC. And your one of my favorites. Thanks so much for a wonderful performance last night with the UW-Eau Claire Jazz Ensemble at the State Theater. So fun to hear you sing live, you’re fabulous. I’m sure the students really enjoyed working with you. Connie, your nightly performances in the Mix on the Prairie Home Companion cruise to the Western Caribbean were just terrific. What a great duo you and Tanner Taylor are. Hope to see you in the Seattle area soon. Thanks for all your wonderful music on the M/S Ryndam last week – we really loved it! We had a great time at your Beatles show last night! Connie, I first heard you on KJZZ in phoenix and have been a fan ever since. Have you ever thought about doing a desert show, it might be nice to get out of the snow this winter? Connie, every time you come to Seattle we see you, just checked your schedule and don’t see anything yet. Are you coming to Jazz Alley any time soon. 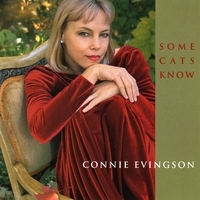 Connie- I just heard you for the first tome on Comcast channel 838 (Singers and Swing). Being from Northern MN, residing in Minneapolis and adoring Peggy Lee, I’m on a mission to see you live. Where do you perform and how have I not heard your angelic voice before? Saw the wonderful Moore x4 Ruby’s retro last evening. Simply the best, as always, but struck a memory chord of my first time with the group somewhere in St. Anthony on Main that simply shocked me with srtistry. Your wonderful music has enriched my life for the past 22 years and I thank you for every moment! Connie—I was so tickled to hear you on the kickoff of “Prairie Home Companion”. My wife and I were hiking around Duluth (with earbuds) and the leaves were beautiful and then—voila, there was Connie singing “Autumn Leaves.” Sweet! Hi Connie! Again what a nice hompage! I hope all is well with you and your singing! My quartet have a gig at Hi-jazz in Uppsala the 26 of august It is a club very close to the railwaystation. The best jqazzy regards from Lars-Erik and his Quartet! You have a lovely voice, Ella and Torme would be proud. Your gypsy jazz vocals completely captivate us until all too soon the set is over and reluctantly we must go home still amazed at what we just heard. Connie, Saw you tonight for the first time and it was love at first note. Please add me to your mailing list. 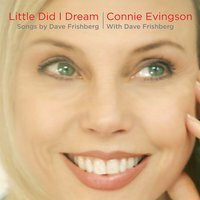 Hi Connie, Just discovered you and went and bought both your CD’s as well as the Frishberg songbook. Have been studying voice for about 9 months (this is the second time around) and i want to be a Connie E when my voice grows up! Please come to Atlanta or anywhere nearby. I will come! You are awesome! I love your songs so much that i featured you on YouTube with “Got To Get You Into My Life ! Come to Los Angeles and lets stir up the Jazz world! I have all your CD. Come to Japan. I discovered you through JAZZIZ. Your song “Eastwood Lane” is one their new compiation CD. I was amazed by your voice. Now I’m going to get a few of your CDs. Hopefully sometime you’ll take a tour through the Detroit area. I’d love to experience you live. ps The church I attend is just starting a Jazz Vespers service once a month. If you’re ever in this area and you need/want a gig on a Sunday evening, let me know. Blessings. Come to the west coast!! Hi Connie. It was a pleasure to listen to you at the Dakota Jazz Club last night. Thanks for a great experience! I first heard a review of your “Gypsy in my Soul” album on NPR just as it came out and was delighted to see you at the Jazz alley in Seattle this year. I just love your music and “Gypsy” is my all time favorite CD.Thank you for the gift of your music. I would love to attend a concert in Seattle or Vancouver, BC., Canada. Connie, I was a “student” during your visit with Joan Griffith at St. Thomas on Sept. 24. You sang a beautiful song that I vaguely recall had the word “Gypsy” in the title. I think you introduced it with a brief comment about Gypsy Boots. I don’t think it was “Gypsy in my Soul.” Can you recall what you sang and let me know if you have recorded it? I checked your CD playlist and did not see anything (other than “Gypsy in my Soul”) with “Gypsy” in the title. Thanks. I was listing to 97.5 in rodchester,mn the other day and htey played a song by you I think,something about I have a anesthesia in my fist,My wrist can twist something like that can you help me with the name of it. Hi connie I found you through a great friends of mine ,I didn’t know you , I’m a musician , a saxophone player and I found you music very cool and interesting , so why don’t you come down here , we will appreciate your style, there are so many Jazz festival in Italy , check it out . Gizio. Connie! I love your new CD! Once again, I’m totally smitten by your smooth, delightful, subtly nuanced voice. Amazing! I was told that certain voices resonate with the hypothalamus in such way as to release endorphins—I think this is what happens when I hear you singing (although, I must admit, I’m clueless as to what a “hypothalamus” is!). PS: I tried following my wife around the house singing “Peel Me a Grape” thinking it would lead to some jazz-induced romantic encounter, but, unfortunately, it fell flat. Guess I’ll leave singing to the pros! I have been hearing you on KPLU (Seattle). I heard your live on-air performance. Love you style of singing. Dear Miss Evingson, I rarely put pen to paper, but in this instance, I feel that congratulations are in order regarding you CD ‘Gypsy In My Soul’ The songs, your vocals and arrangements are first class. Maybe some day you will visit the U.K.
We have really enjoyed your “Fever” CD. We are looking forward to attending one of your performances. Sign up for notices about Connie’s upcoming appearances.